EDL Anlagenbau: That's what winners look like! 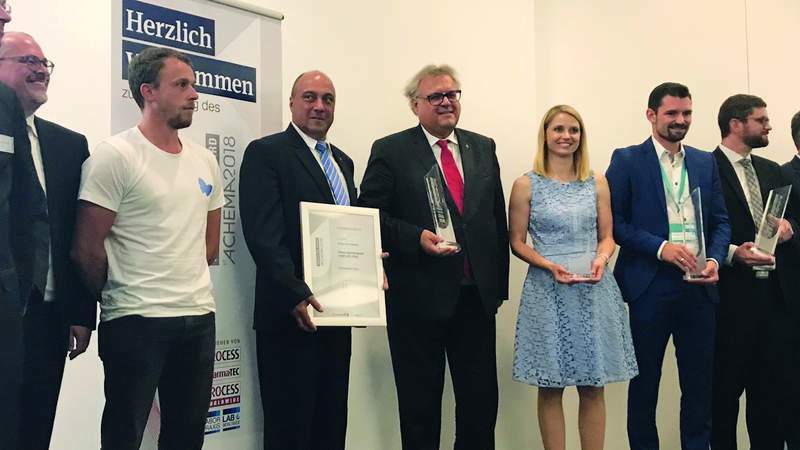 Pörner Rice hulls technology awarded with the Innovation Award for "Biotech for Chemistry"
At the award ceremony, Pörner was crowned in the special category "Biotech for Chemistry". 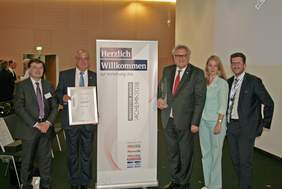 For the fourth time, Vogel Fachverlag honored the most innovative technologies, processes and apparatus in eleven categories at ACHEMA. A winner was selected in eight categories out of every five shortlisted candidates, while the remaining three special categories will be awarded according to the main topics of the actual trade fair. 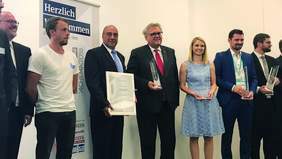 Pörner received the coveted award in the category "Biotech for Chemistry" for the process "High-Tech-Silicate made of rice hulls". 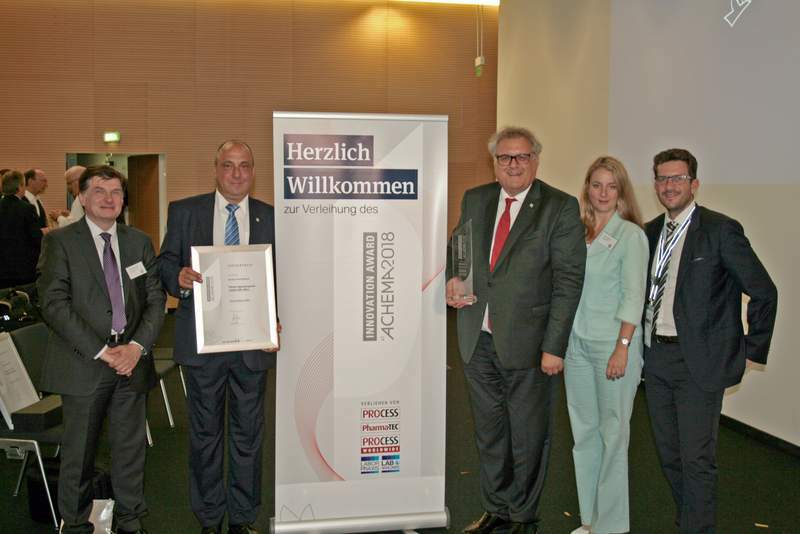 Peter Schlossnikel, Managing Shareholder of the Pörner Group received the award together with Gerhard Bacher, Managing Director of Pörner Grimma and Project manager for this technology development. "We are pleased with this award and are proud that our technology attracts so much attention, and I admit - it's really a great thing," says a delighted Peter Schlossnikel. 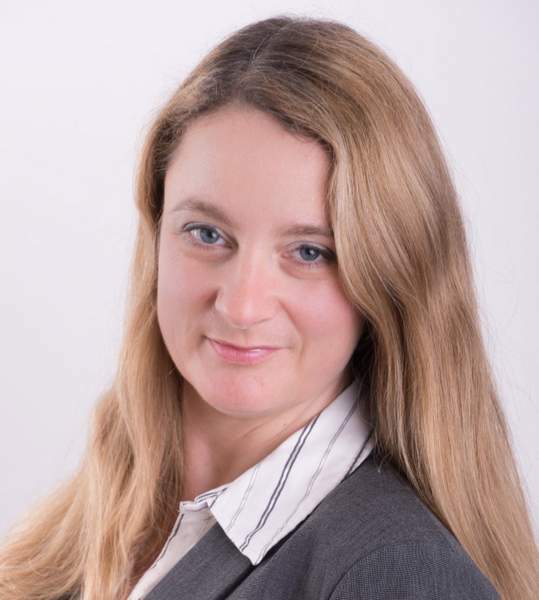 "We have succeeded in developing a robust technology for the production of silicon products from the ash of rice hulls.This process stands out in particular for its ecological and economic benefits," adds Gerhard Bacher. With a sophisticated process, rice hulls, a waste material in every rice mill, can be converted into the purest silicate. Silicates are an indispensable element for the chemical industry. Silicates are currently obtained mainly with high energy expenditure from quartz sand. Rice hulls silicates have three important benefits, the purest quality with no heavy metal contamination, low production costs and resource-friendly. Detailed information see HERE .